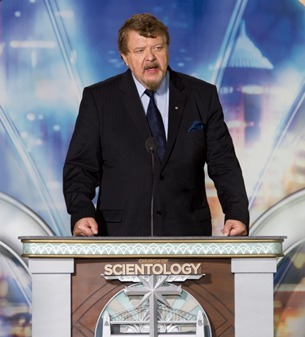 “The people who have greeted us on this occasion displayed the rich weave of Australian society, from the Aboriginal nations who have lived here for thousands of years to the immigrants who in recent centuries have come in hopes of freedom and opportunity,” said Mr. David Miscavige, ecclesiastical leader of the Scientology religion, in an interview after the grand opening. We offer our gift to all of the people of Australia, our commitment to human rights, education, literacy, and opposing the scourge of drugs. Sydney’s Scientology Church—an “Ideal Organization” or “Ideal Org” as it is called by the religion—also acknowledges the city’s history while positioning itself for the future. The Church is a historic heritage site on Castlereagh Street and stands amid several of Sydney’s most treasured landmarks, including Town Hall, the Queen Victoria Building and Sydney Tower. The location is only a short distance from the city’s Hyde Park, Botanical Gardens and iconic Opera House. Built in 1908, the structure remained a fixture for decades in what was then Sydney’s industrial sector. To transform the existing building into an Ideal Org, the Church restored the structure’s historic features, notably the brick columns and bronze-glazed glass façade. Two floors were added to the existing structure to accommodate the many expanded activities. That additional space was critical so that the Sydney Church could expand its religious services and programs that serve the public—enhancing the lives of all people to interact with Scientology. 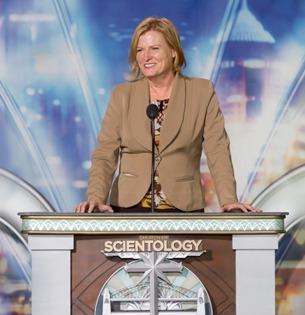 “You get on with it, and that’s why your Church and its members are particularly valuable and relied upon,” Julie Owens, Australia’s Shadow Parliamentary Secretary for Education and Small Business, told the several thousand Scientologists and well-wishers who gathered for the Ideal Org’s inauguration. The most powerful thing one can do is to cause others to believe they can make a change in their lives, that they can bring out one another’s ‘better selves.’ That is what you do for us in Australia. Illustrating Owens’ point, the Church dedicates significant resources to drug education and human rights initiatives. The Drug-Free Ambassadors program, launched in 1994, covers every city and remote community in the country, with more than 300,000 multicultural Australian young people signing a drug-free pledge in the past two decades. Youth for Human Rights, a campaign sponsored by the Church, has for a decade distributed educational materials in support of Aboriginal rights and a variety of other human rights initiatives through seminars, media, lectures and education kits. The community leaders and representatives speaking at the dedication of the Church added to that vision for the future. Scientologists in Australia are “the lifeline for millions,” said Kalisi Bese, programs manager for the Young Offenders Support Service. “You provide what amounts to lifesaving education to parents and kids alike with The Truth About Drugs… You brought pivotal human rights answers to a Fiji upended by a military uprising. In fact, your work in the wake of that coup actually saw the first international message of human rights brought to the island. You are bringing human rights to life by making them an integral part of your mission, thereby educating our coming generations to safeguard the rights and freedoms of all Australians. The grand opening celebration also spotlighted Australia’s Aboriginal culture. The ceremony opened with a solo performance on the didgeridoo, a wind instrument used by native tribes for more than 1,500 years. A “message stick”—by which tribes traditionally conveyed important information to each other—was presented by Graham Toomey of the Aboriginal Land Council. “I have come to your doorstep to find a group of individuals who respect our history, respect knowledge, and believe in gathering together truth. I have been struck by the friendship I found and how well people worked together,” said Bill Allen, an Aboriginal elder from the Dunghutti nation. 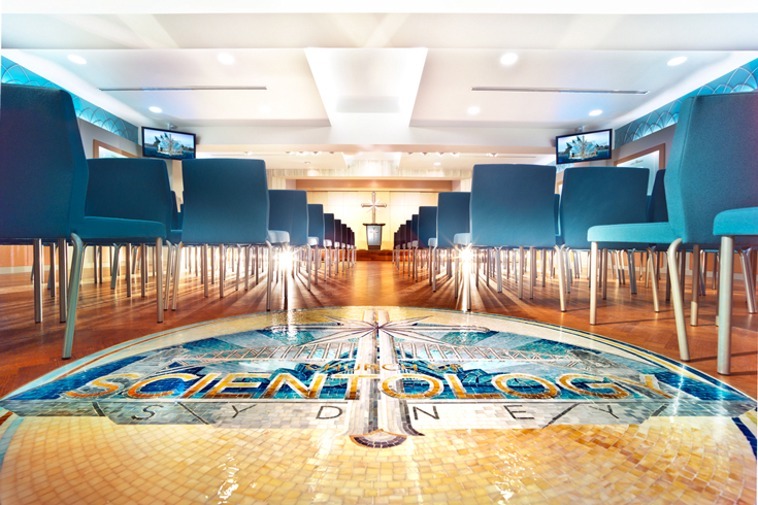 The Sydney Church, like all Ideal Churches, is designed for the dual purpose of providing all Scientology religious services to its parishioners in an ideal setting, and serving as a central meeting and coordination point for community and humanitarian groups and programs. 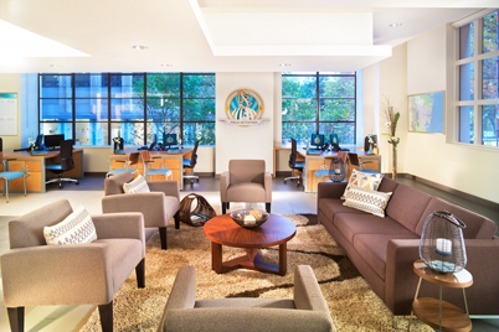 The Ideal Church of Scientology of Sydney, like all Ideal Churches worldwide, includes an extensive multimedia Public Information Center for visitors. 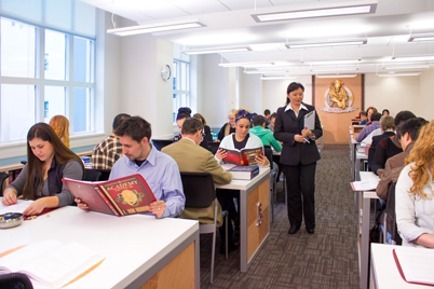 Scientologists study Dianetics and Scientology in a variety of course rooms set up for maximum efficiency. The Church is open seven days a week, morning to night, for parishioners enrolled on courses and receiving spiritual counseling, and for visitors to the Public Information Center. 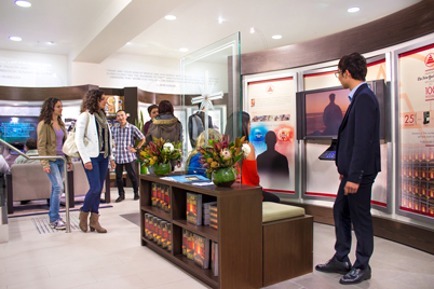 Visitors are welcome to take self-guided tours of multimedia displays that describe all aspects of Dianetics, Scientology, the life and work of the religion’s Founder L. Ron Hubbard, and the Church’s social betterment and community outreach programs and initiatives. Religious services are provided in course rooms and spiritual counseling rooms, specially configured for those purposes. The Chapel is the center of the congregational life of the Church—weddings, naming ceremonies and Sunday services, meetings and forums for the community. The Sydney Church is a hub for coordination of congregational and community outreach activities, with facilities specifically designed for meeting and coordination. 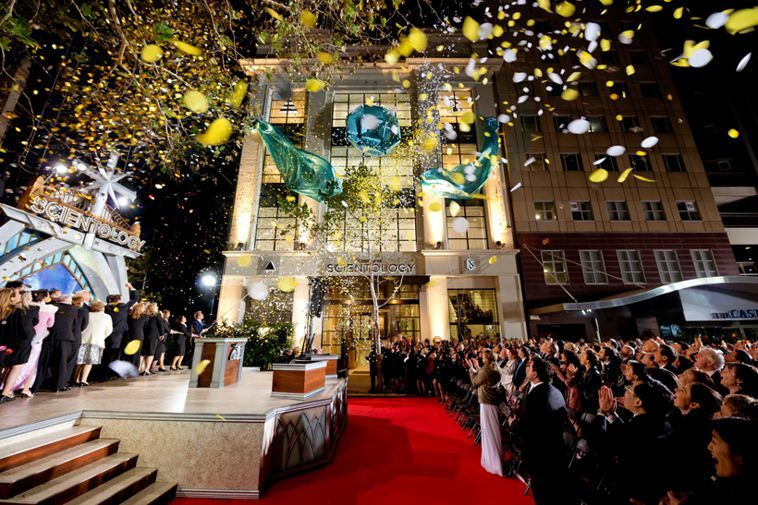 The new Church of Scientology of Sydney is one of 40 Ideal Churches opened in recent years in major metropolitan areas and cultural centers around the world to serve growing congregations and communities at large. These include Churches in New York, Washington, D.C., London, Brussels, Berlin, Madrid, Rome, Tel Aviv, Moscow, Johannesburg, Mexico City and Los Angeles. 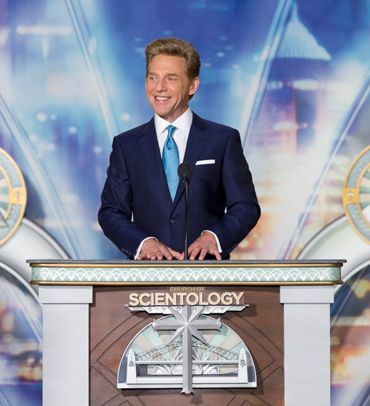 The crowning achievement of the past year was the opening of the Church of Scientology Flag Building, the religion’s 377,000-square-foot cathedral and international spiritual center in Clearwater, Florida. The scope of this undertaking is unprecedented in modern religious history. These new Churches reflect the fulfillment of Mr. Hubbard’s dream for the religion. The Chapel serves the Sydney congregation for Sunday services, weddings and naming ceremonies and provides a setting for community meetings and outreach activities.